Saturday night there was a terrorist incident on London Bridge and at Borough Market. Several people were killed in the terror attack at the heart of London and dozens injured. Prime Minister Theresa May convened an emergency security cabinet session Sunday to deal with the crisis. A Canadian is among the seven killed in last night's attacks in London, Prime Minister Justin Trudeau confirms. In a written statement released Sunday, Trudeau said Canada "condemns the senseless attack." "Londoners and people across the United Kingdom have always displayed strength and resilience in the face of adversity. 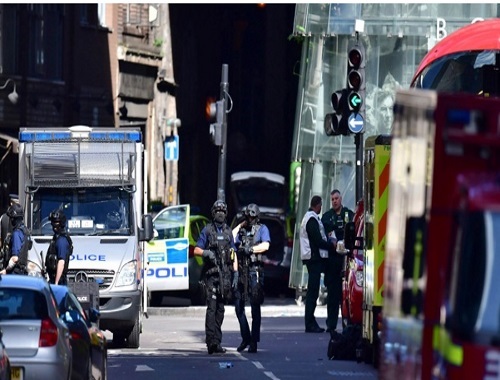 We recently witnessed this after the attacks in Manchester and in the Westminster area of London. This time will be no different," the statement read. “These hateful acts do not deter us; they only strengthen our resolve. Canadians stand united with the British people. We will continue to work together with the United Kingdom and all our allies to fight terrorism and bring perpetrators to justice."